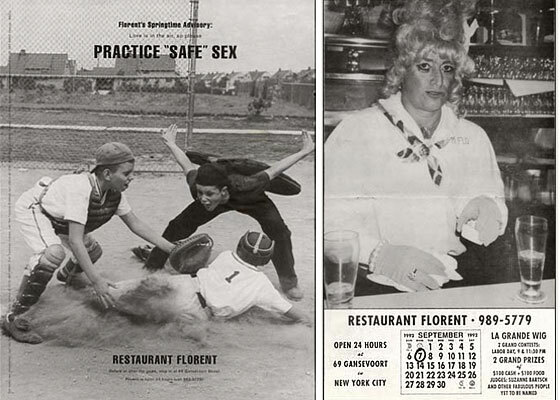 Probably one of the best designer-client relationship ever was between greatest Tibor Kalman -well-known for his singular creativity, his work as editor-in-chief of Colors Magazine and his way to make commercial art serve society- and Florent Morellet, owner of Restaurant Florent in New York. While Tibor made quirky advertisements for the Restaurant, Morellet fed the designers of M&Co (Kalman’s design firm) four days a week from 1985 to 1993. Great deal! Click here to find the original work that now forms part of history.